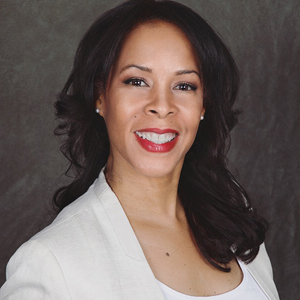 Crystal Burns, currently serves buyers and sellers located in Manhattan , specializing in luxury condos, townhouses, new construction, waterfront real estate, land, and investment properties. Always holding client satisfaction as her highest priority, Crystal works hard to make the entire home buying and selling experience as productive and enjoyable as possible. Clients working with Crystal never fail to appreciate her passion, dedication and fierce efficiency. With over 21 years of real estate experience, Crystal’s extensive knowledge allows her to handle a wide range of clients and situations. Whether her clients are looking for a home for the very first time or they're seasoned investors; Crystal works tirelessly to accommodate their needs and exceed their expectations. Crystal is incredibly well-versed in the area’s housing market and always manages to find her clients those hidden gems that other agents tend to overlook. Crystal values all of her clients and strives to build strong, lasting relationships with them that go far beyond business. Crystal understands how much families put on the line when they invest in a home. That's why she works closely with them every step of the way, making the otherwise overwhelming process completely stress-free. Crystal is truly passionate about what she does and loves helping her clients achieve their goals. To learn more about Crystal's real estate services, please don't hesitate to give her a call today.